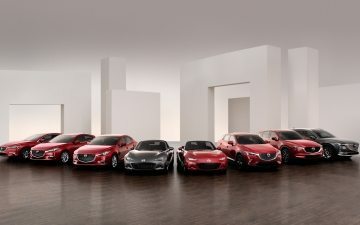 In the fall of 2010, Mazda launched SKYACTIV Technology, a suite of technologies that would go on to make the company’s vehicles the most fuel efficient in the U.S., according to the United States’ Environmental Protection Agency (EPA), as well as unquestionably the most exciting to drive. Engines, transmissions, chassis, suspension and vehicle bodies introduced technologies unheard of in a production car. As an example of just how advanced Mazda’s SKYACTIV engines alone were, some competitors are finally bringing similar engine technologies to market today... some seven years after Mazda did so. And now, Mazda is moving the goalposts again. At a recent technology forum, Mazda devoted a few days to unveiling the company’s new long-term vision for technology development with our “Sustainable Zoom-Zoom 2030” plan, SKYACTIV-X next-generation engine and next-generation platform. These new technologies combine performance and efficiency across all aspects of the vehicle to make driving better. SKYACTIV-X is a new, proprietary internal-combustion engine from Mazda that combines the high-revving character of a gasoline engine with the efficiency, torque and response of a diesel. SKYACTIV-X is the world’s first commercial gasoline engine to use compression ignition, in which the fuel-air mixture can ignite spontaneously when compressed by the piston. Offering an uncompromised combination of environmental performance, power and acceleration performance, SKYACTIV-X fully enables the Jinba Ittai—“horse and rider as one”—driving experience that only Mazda can deliver to its customers. The next generation platform of Mazda vehicles was engineered with an enhanced focus on the human-centered concept and an unwavering dedication to the Jinba Ittai feeling. The harmonious connections between tires, suspension, body and seats, combined with the breakthrough SKYACTIV-X engine, are aimed to deliver a more comfortable, more exhilarating experience. The debut of SKYACTIV Technologies seven years ago ushered in a new era of efficiency and strength to the Mazda lineup, and has earned the entire Mazda lineup praise and accolades around the world. 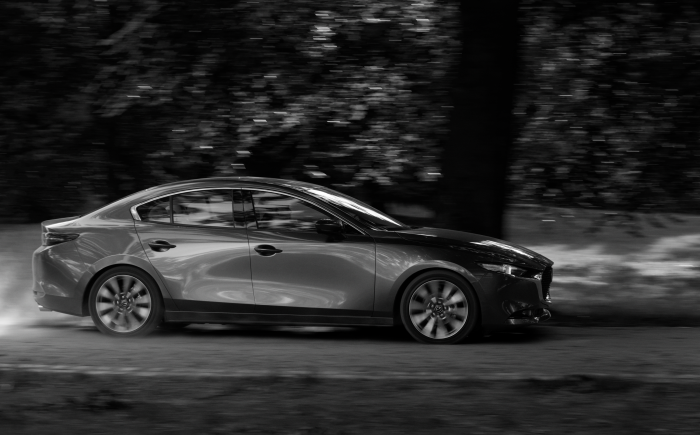 For example, every Mazda has been named as a Top Safety Pick+ by independent safety organization Insurance Institute for Highway Safety (IIHS). Mazda never rests on its laurels, however, and this new suite of technologies shows that Mazda is a company that continues to challenge convention, and is obsessed with continuously improving its vehicles at every turn.